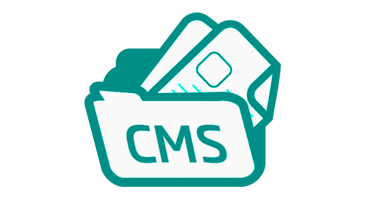 Get free Kajona CMS installation and a smooth running site by choosing the right foundation, and say goodbye to file upload problems, permissions issues and other Kajona CMS hosting compatibility headaches! It just requires several click on your mouse and moreover, it is provided FREE of charge! What is European Kajona CMS Hosting? Kajona is a PHP5 based content management framework, released and developed as an open source project using the LGPL-licence. The system requires a relational database system such as MySQL, PostgreSQL or SQLite. Both of Kajona's installer and backend-skin are based on Twitters' Bootstrap, but now their installer is the first component to be fully update to Bootstrap 3. While updating the installer, they removed some redundant options, making installation a lot smoother and faster than before. Kajona ships with a set of modules and page-elements by default, including a comprehensive page-management (including a WYSIWYG editor for in-site-editing), navigation management, a search-module and image-elements including the support of on-the-fly image manipulations such as resizing or cropping images. Why Choose HostForLIFE.eu for European Kajona CMS Hosting? Try our Free Kajona CMS Hosting today and your account will be setup soon! You can also take advantage of our Windows & ASP.NET Hosting support with Unlimited Domain, Unlimited Bandwidth, Unlimited Disk Space, etc. You will not be charged a cent for trying our service for the next 3 days. Once your trial period is complete, you decide whether you'd like to continue.